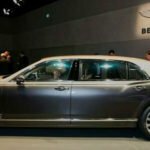 2017 Bentley Mulsanne is redesigned ultra-luxury sedan will arrive at Bentley dealers in the summer, following a global debut at the 2016 Geneva motor show in March. 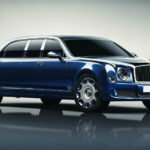 A key part of the overhaul, the addition of a 2017 Mulsanne Extended Wheelbase model Bentley said: “provides a first-class air travel experience for the road.” Details include electronic leg rest, standard electric curtains, and optional betting tables. 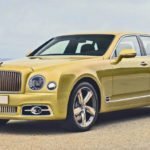 The front of the 2017 Mulsanne received an extensive redesign, said it a “more modern and integrated appearance” according to the automaker. The Bentley flagship also gets redesigned seats, new door trim and armrests and a choice of 24 hide colors for the interior, with a new touchscreen infotainment system with haptic control. A pair of Bentley Entertainment Tablets, Android devices with 4G, Wi-Fi, and Bluetooth, is tucked in the back of the front seats. The extra-long 2017 Mulsanne model offers 250mm (9.8in) of extra legroom behind, complimented by the airline style expansion leg rests and a rear sunroof. 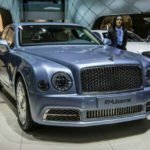 The completely redesigned front, the 2017 Mulsanne come with new character, courtesy of the new fenders, hood, lights and of course that mega grille. The 2017 Bentley Mulsanne cabin has now updated seats, new door trims and 24 available colors to choose from for your leather. Even some of the switchgear is made of glass. 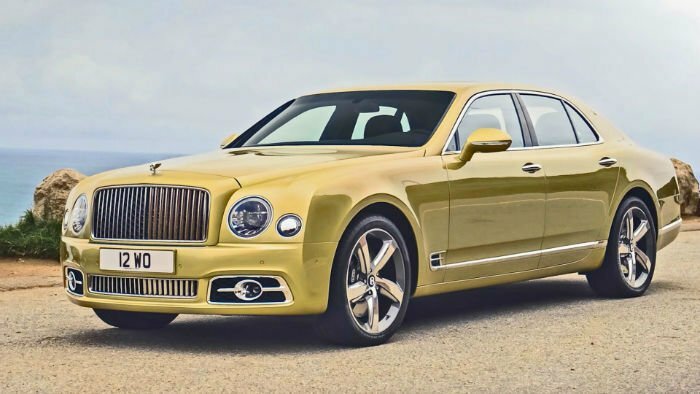 The Mulsanne Speed is the quick version of the family, with 530 hp and 811 lb-ft of torque which allows accelerating the large Bentley from zero to 60mph in 4.9 seconds and up to a speed of 190mph. 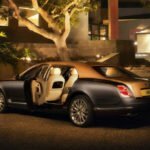 2017 Bentley Mulsanne equipped with a 6.75-liter V8 linked to an eight-speed ZF automatic transmission engine. The engine delivers 505 horsepower and 752 pound-feet of torque in the Mulsanne and 530 hp and 811 lb-ft of torque in the Mulsanne Speed. 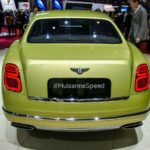 The 0-60-mph sprint in the Mulsanne takes place in 5.1 seconds and the car has a top speed of 184 km. 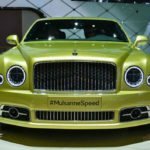 The upgraded Mulsanne Speed increase the number to 4.9 seconds and 190 mph. 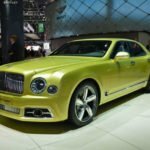 Bentley says it takes about 400 hours to build a Mulsanne. 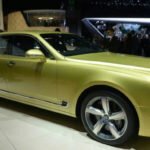 The 2017 Mulsanne rollout coincided with word of Rolls-Royce that the replacement of the Rolls-Royce Phantom and dropping the coupe and drophead coupe models of the car. The Mulsanne competes against the Phantom.